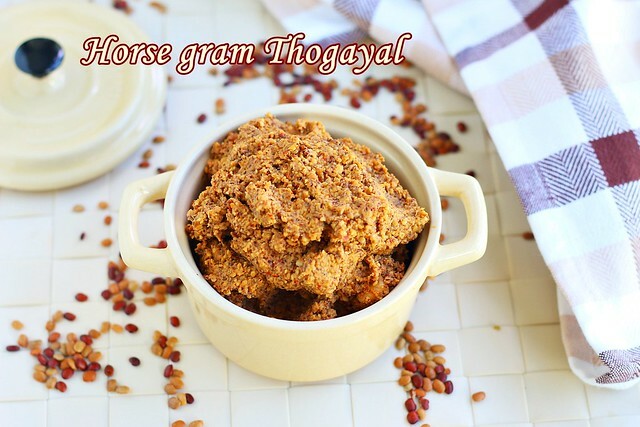 Kollu Thogayal recipe| Horse gram chutney, a healthy thogayal recipe with horse gram, red chili, garlic as main ingredients. Kollu or Horse gram is a very healthy grain we make kollu podi which can be mixed with rice. 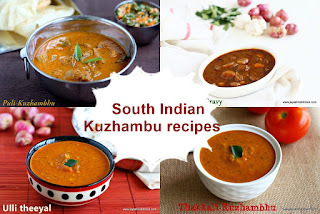 Rarely i make kollu rasam too, the recipe i have given in my Android mobile app. I packed capsicum rice for lunch box, and i didn't keep it enough so made kollu thogayal for me. I had this with hot rice and kovakkai curry. 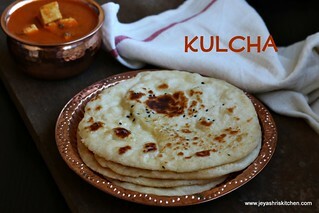 You can make this same as a chutney to accompany idli dosa too. 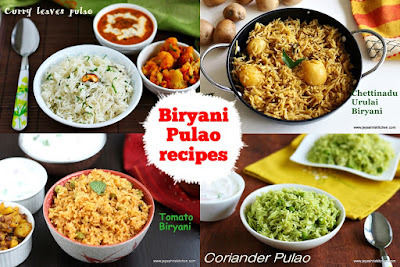 Read the recipe of kollu thogayal with step wise pictures till the end to see the variations. 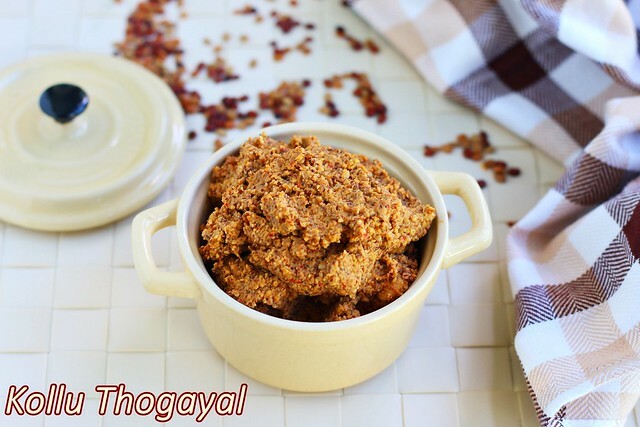 Description: Kollu Thogayal recipe| Horse gram chutney, a healthy thogayal recipe with horse gram, red chili, garlic as main ingredients. 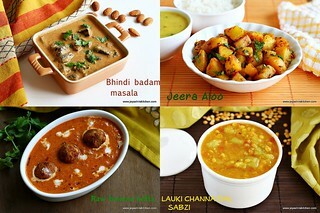 *I didn't add curry leaves as i was running out that. Didn't notice when i started cooking. In a pan add sesame oil and add the kollu |horse gram. You will hear the sound that of spluttering. Do it in a medium flame. Once it is roasted take it out and soak it in 3 tblsp of water for 10 minutes. In the same pan add the red chili, garlic and tamarind. Roast it till the chilis slightly change the color. 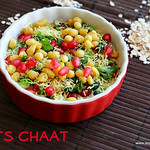 If adding curry leaves add it now and saute for 2 minutes. Switch off the flame and add coconut, salt and asafoetida. 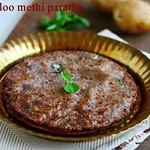 Once it is cool completely, grind this along with horse gram. Add little water as needed, while grinding the kollu thogayal. 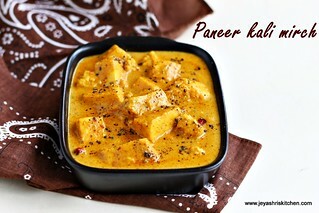 Enjoy with hot rice smeared with ghee. This thogayal stays good in the refrigerator for 4-5 days. You can replace red chili with whole black peppercorns. If making it as chutney, reduce the kollu to 1/4 cup and proceed with the remaining steps. 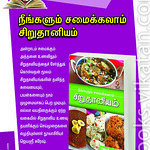 Adding curry leaves makes it more healthy and tasty, so try to include it. 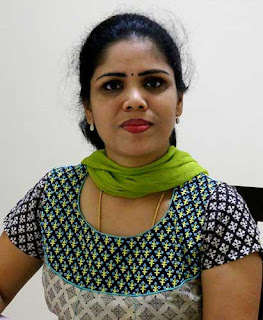 You can skip the garlic and add ginger for a no onion no garlic version of Kollu Thogayal. Some people say if you are using garlic, do not use asafoetida, if you feel like that skip the asafoetida.